The Original. Original Lemonade is the centerpiece and inspiration behind all of the Calypso Lemonade, Limeade and Teamonade brand families. 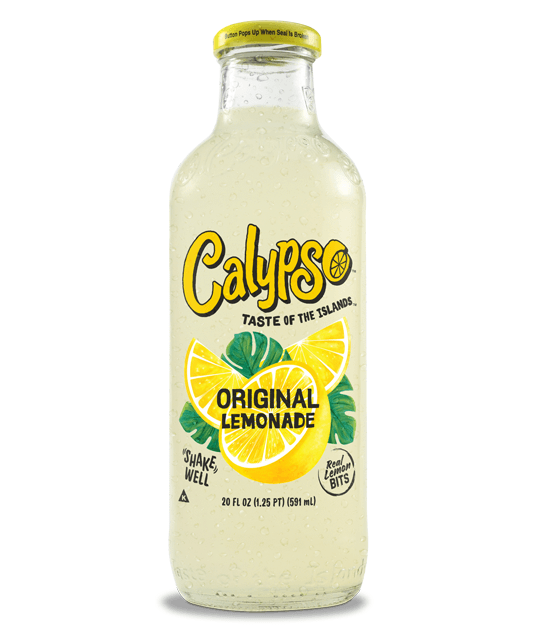 When we started the Calypso Lemonade line, the focus was on quality ingredients and making a Lemonade that was refreshing and irreplaceable. We feel we accomplished this goal by using natural flavors, fresh juices, real sugar and real lemon bits – and many agree. Today this Calypso flavor remains an original and a classic.